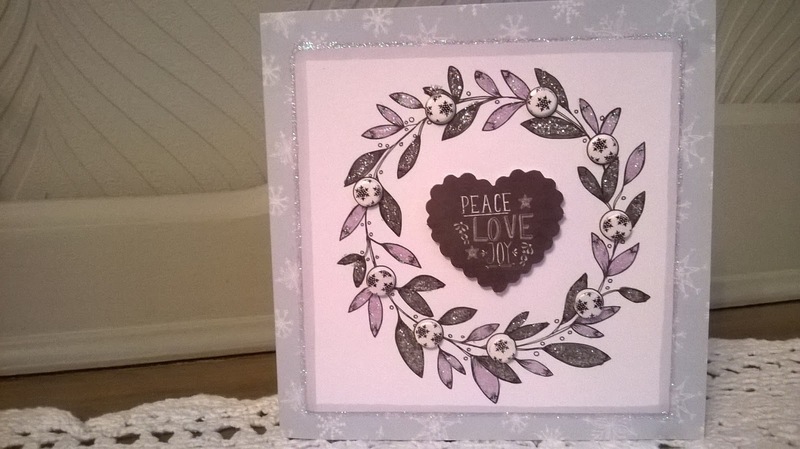 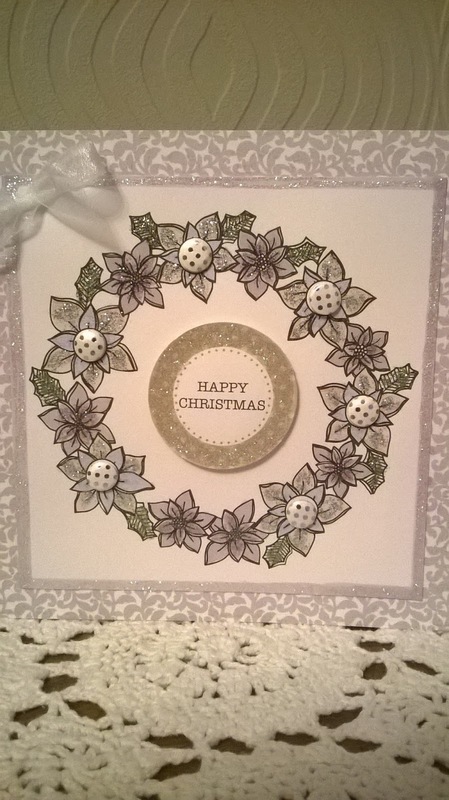 I've been busy playing with the colour with Candi Christmas pad from Craftwork cards, I have to say at first I wasn't sure I'd like it as my colouring skills aren't that good but after completing my first card I was hooked. 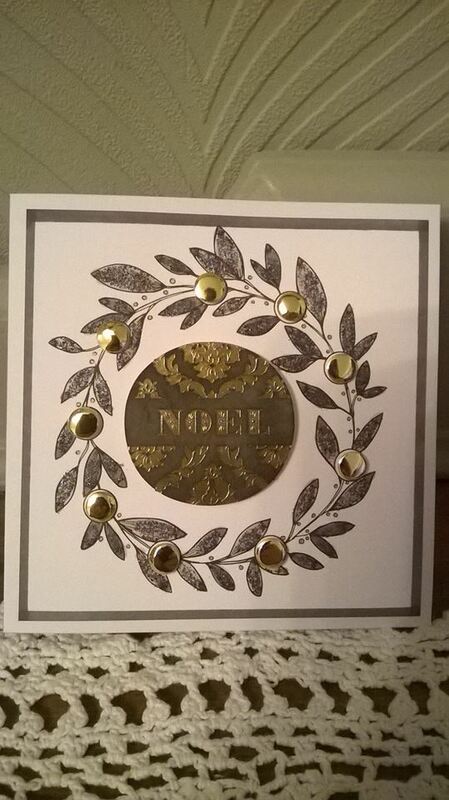 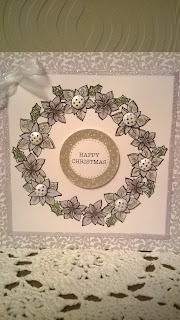 For this card I used a dark grey promarker and some black glitter glue for the foliage and some gold candi to set it off. 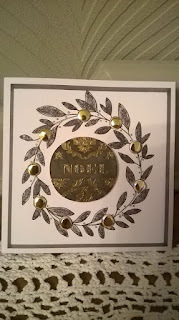 I added a foiled topper which I inked with a black ink pad. 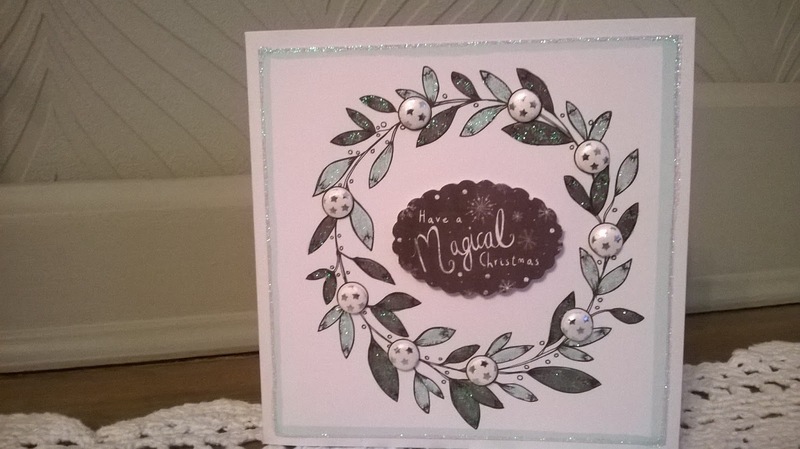 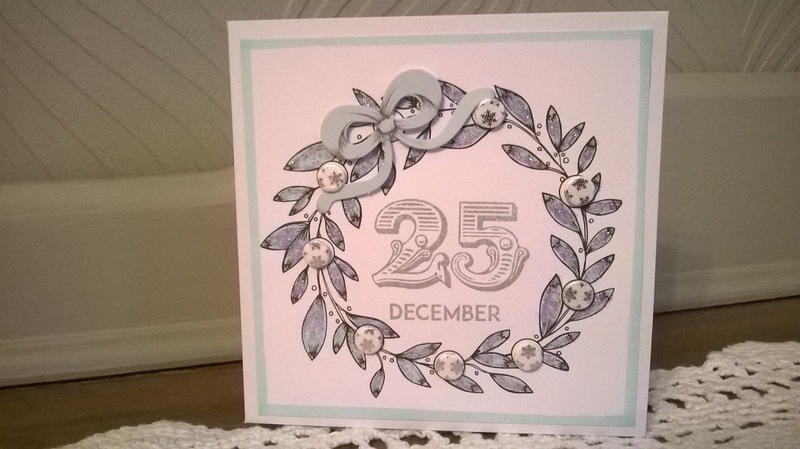 For this card I used a range of promakers and glitter glue, along with a foiled topper. 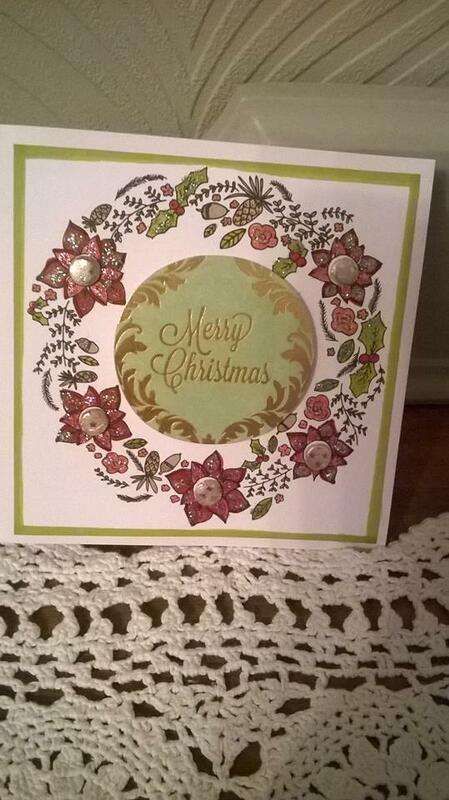 I think this is one of my favorite cards, The card blank is from the christmas special on C&C, the sentiment is from the match box pop up kit and I added a organza bow and some iridescent glitter glue. 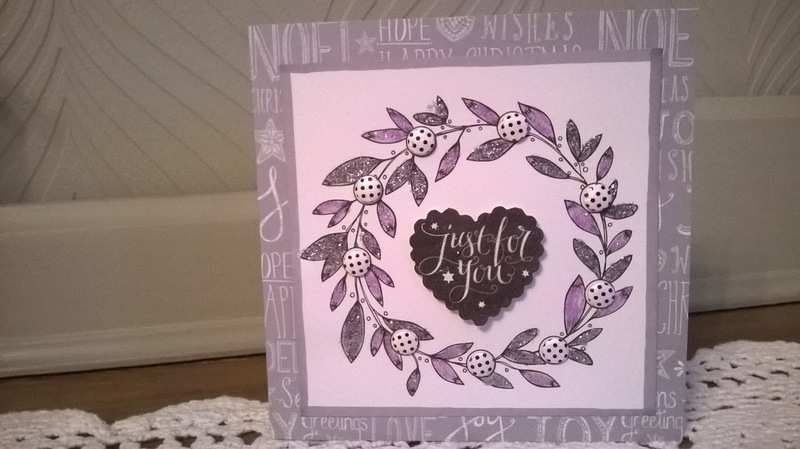 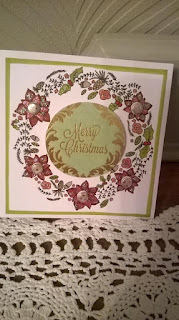 This card uses a bow form the chalkboard kit, a stamp from the christmas stamps and a plain white card. 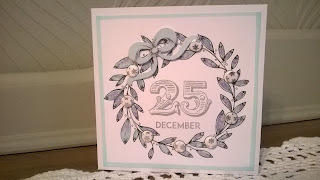 I love the combination of icey blue and dark grey along with a chalkboard topper. 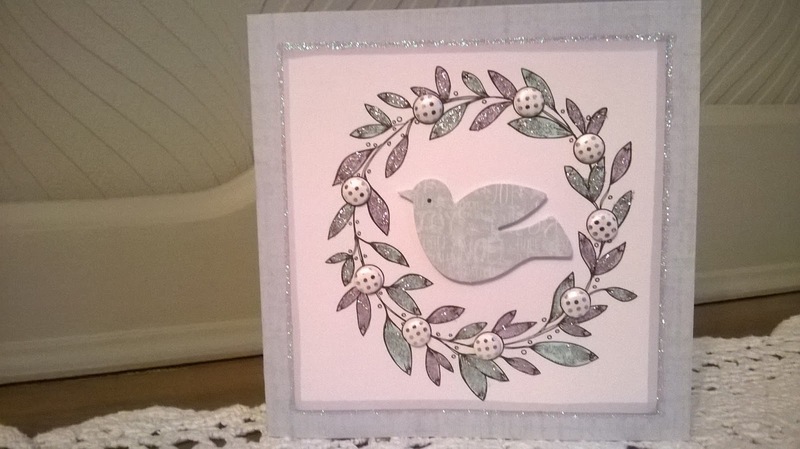 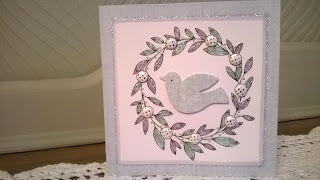 Finally this card uses a dove from the match box pop up kit along with a good helping of clear glitter glue.